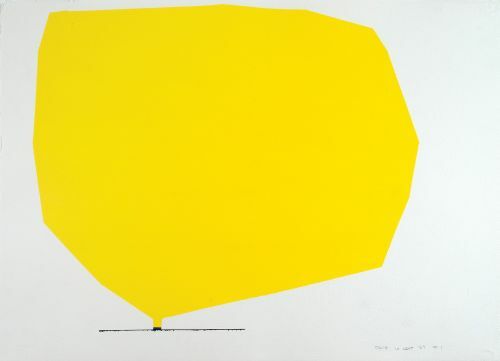 To be honest – I feel I have almost been absorbed by Anne Truitt (1921–2004) this summer. It has been a uniquely positive experience. I have read her three journals with great interest and attention, and have already started to reread them. These texts speak to me personally, as if I was talking to a wise friend, a foremother. Anne Truitt’s first book, Daybook, is based on a journal, which she kept for seven years, recalling her childhood on the Eastern Shore of Maryland and her career transition from psychology to art. But most of all it is a meditation on how to combine a creative career (a calling) with family life, especially with being a mother. Divorcing her husband after 22 years of marriage also makes the question of economical endurance very acute. She made no compromises in her work, even if the reception of it at times was rather harsh. I’ve struggled all my life to get maximum meaning in the simplest possible form. That’s what I’ve spent my life doing, and it’s never been understood. As most artist, she would not agree to representing a definitive group or direction within art. Still her friend, the influential art critic Clement Greenberg, wrote: “If any one artist started or anticipated Minimal Art, it was she.” Truitt resisted the connection because her work was painstakingly made by her own hand rather than through the industrial processes that are the hallmark of minimalism. When I swept wide brushes over large areas, I felt profoundly attuned to both structure and paint, as if I were doing what I had been born to do. Her art might be challenging, due to a fine and highly developed sense of abstraction, but her writing is very simple, very easy to understand – even if the depth of what she says might shake the grounds on which you have founded your own life. First published in 1982, Daybook was followed by two more journals; Turn (first published in 1986) and Prospect (first published in 1996), all published after Truitt had turned 60. The second and third book continues the artist’s reflections on her work and surroundings as she enters new stages of life, further exploring her views on womanhood, aging and art. 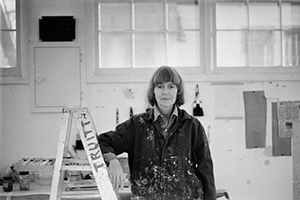 SHORT BIOGRAPHY: Anne Truitt was born in Baltimore, Maryland in 1921 and spent much of her youth on the Eastern Shore of Maryland. She obtained a BA in psychology from Bryn Mawr College and began art training first at the Institute of Contemporary Art in Washington, DC, and later at the Dallas Museum of Fine Arts when her husband was transferred to Texas. Most closely aligned with Minimalism and the Washington, D.C.-based Color Field painters, the artist is considered an important figure of American abstraction. Truitt’s first solo exhibition was held in 1963 at the André Emmerich Gallery in New York. Truitt received numerous honors throughout her career—including fellowships from both the Guggenheim Foundation and National Endowment for the Arts—and taught at the University of Maryland from 1975–1991. She also wrote extensively on her art-making practice and published three books—Daybook (1982), Turn (1987), and Prospect (1996). Truitt died in December 2004 in Washington, DC.